Well established locally since the 1930’s, Cigna is one of Hong Kong’s leading insurance provider. Alongside the launch of their new branding campaign in 2017, Cigna recognised the need to catch up on an office trend – one which celebrates a sociable, flexible and activity based working environment. 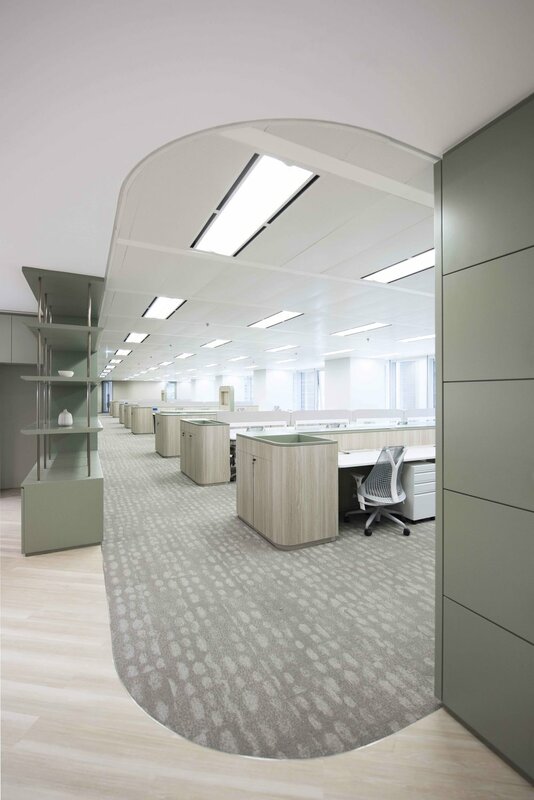 With Bean Buro’s help, Cigna moved into the brand-new office space in Causeway Bay in Mid-2018. Cigna’s 8,576 square new office is a collection of personal work points, agile workspaces, enclosed meeting rooms, collaboration spaces, and social spaces. The new office prioritises open collaboration and focuses on staff’s wellbeing, health and comfort. Bean Buro developed a narrative inspired by Christo’s “Gentle Disturbance”, where the artist uses colour to highlight scenery elements otherwise often under appreciated by the viewer. 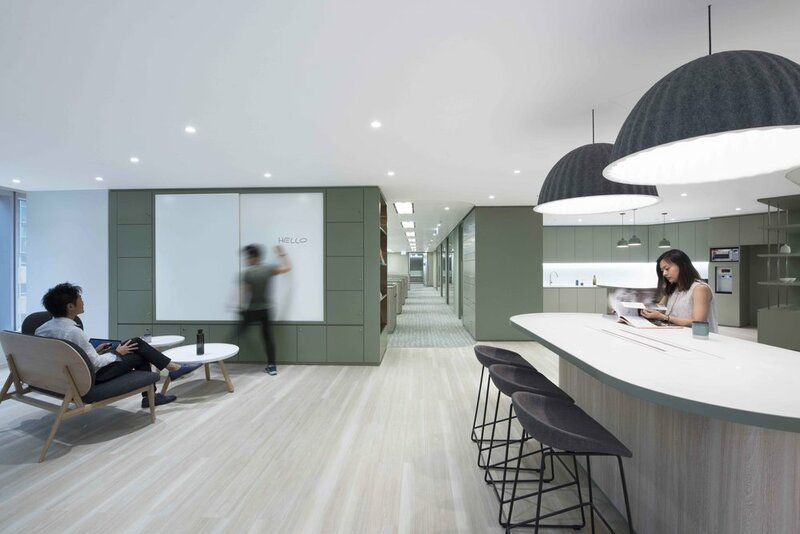 In Cigna’s workplace, a legible green sculptural backdrop ties the whole open plan together, while ‘coloured bays’ emerge to create social zones, such as the reception, pantry and break out spaces. Comparable to Christo’s island, the layout orientated around a central spline of enclosed meeting rooms (island) and a perimeter strip of open space (Christo’s “Gentle Disturbance”). The open office overlaps and merges from one space to the next providing both fixed working areas and flexible collaborative areas. All of which were eventually lead to a vibrant, yet supple common space filled opportunities for social interactions.